General Dynamics Ordnance and Tactical Systems, a business unit of General Dynamics (NYSE: GD), and Rheinmetall Defence of Düsseldorf, Germany, have formed a tank ammunition joint venture company named Defense Munitions International, LLC (DMI). The new company will develop and market new and existing 120mm kinetic energy and multi-purpose cartridges for the U.S. and international tank ammunition markets. DMI combines the partners' full range of development, production and sales activities of 120mm tactical ammunition for main battle tanks. By combining their activities in DMI, the two partners aim to broaden their global market access, expand production efficiencies and selectively engage in joint development work. Select cartridge types and 120mm practice ammunition will not be part of this joint venture arrangement. This forward-looking joint venture is the culmination of the longstanding partnership between General Dynamics and Rheinmetall Defence. For over a decade the two companies have worked together on numerous 120mm ammunition projects, such as the development and production of the KEW-A1 and KEW-A2 advanced tungsten kinetic energy ammunition for Abram's users worldwide. Additionally, Rheinmetall has fielded the DM 63 tungsten kinetic energy round for the German Bundeswehr and other NATO users of Leopard tanks. Under the joint venture, DMI will continue these efforts while working to add further improvements to the KEW family. The company will also develop and produce advanced multi-purpose ammunition, leveraging the success of Rheinmetall's DM 11 cartridge, which was recently fielded by the United States Marine Corps in Afghanistan. As Armin Papperger, member of the Executive Board of Rheinmetall AG, explains, "This pioneering joint venture is a transatlantic extension of our chosen policy of internationalization. Thanks to DMI, we will be able to respond better to our global customer base's desire for an increased product portfolio in the future as well as providing an expanded set of services. Our strategic relationship with General Dynamics, a joint venture for marketing and producing tactical tank ammunition, is the logical outcome of over ten years of working together successfully. 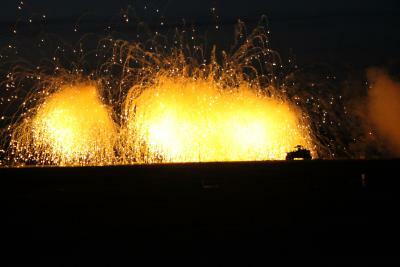 By joining forces, we aim to take the lead in the global market for tank ammunition." Michael Wilson, president of General Dynamics Ordnance and Tactical Systems, said, "We are excited about the creation of this joint venture with Rheinmetall. Our successful partnership over the last decade lays the foundation for this joint venture. Under DMI, we will continue to build upon that success within our existing customer segments while we expand our product offerings, including the Rheinmetall DM 11 multipurpose cartridge, recently fielded by the Marines, which adds another powerful capability to the warfighter's arsenal." 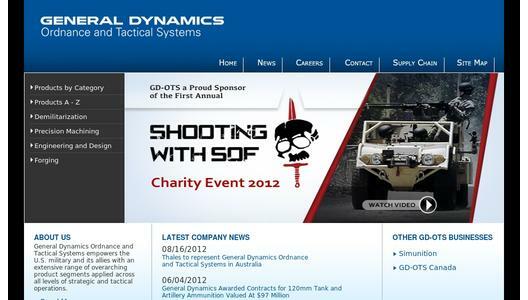 General Dynamics Ordnance and Tactical Systems, a business unit of General Dynamics, is a world leader in the manufacture of large, medium- and small-caliber direct and indirect-fire munitions, mortar weapon systems and components, artillery projectiles, as well as hybrid, extruded and BALL POWDER® propellants. The company also manufactures precision metal components for missiles, rockets and bombs; provides explosive load, assembly and pack services for a variety of munitions, tactical missile and rocket programs; and designs and produces shaped charge and penetrator warheads. More information is available online at www.gd-ots.com. Rheinmetall is one of the most trusted names in the international defence and security technology sector. With some 10,000 employees, Rheinmetall Defence had sales in 2011 of around €2 billion (US$2.6 billion). 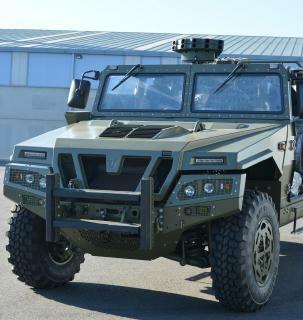 In the weapons and munitions segment, the Rheinmetall Group supplies a wide array of medium- and largecalibre products. These range from the automatic cannon for the Eurofighter and medium-calibre guns for naval vessels and infantry fighting vehicles to main armament for artillery systems and main battle tanks, including the accompanying ammunition. More information is available online at www.rheinmetall-defence.com.